Affordable Penn special senator reels baitcasting reels. Penn Special Senator Reels are saltwater conventional star drag reels intended for big game saltwater fishing applications. The Special Senator Reels, from Penn, base their design on the original Senator reels, but feature higher gear ratios which increase their versatility - trolling, bottom fishing - you name it, the Special Senator gets the job done. Tried and true, the Penn Senator has long been an icon on the big game fishing scene. 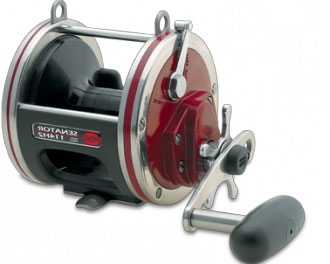 Today they remain the most trusted, most powerful star drag reel on the market. In fact, that’s why Senators bring world record after world record to the IGFA record books. The Special Senator makes use of a lightweight graphite frame and machined, anodizes aluminum spool to keep overall weight to a minimum. The strength of the Special Senator reel is derived from the use of stainless steel components including the reel's frame rings and reel stand which deliver the rigidity needed to prevent any frame flex. The themes of strength and durability continues to the internal engineering of the reel including a precision machined stainless steel pinion gear, high-strength marine grade bronze alloy main gear, and shielded stainless steel ball bearings. Big game fish meet their match when put up against the Senator. Penn's HT-100 drag washers and the multi-disc star drag system provide a smooth, consistent drag even when under extreme pressure from fish. Additional features include a convertible power handle and heavy duty clicker. We offer the Penn Special Senator Reels in three models: 112H2, 113H2, and 113H2LH. The 113H2LH is a left hand model. For more detailed information regarding each model please consult the technical specs tab.